A friend dropped off two books for me the other day and I can’t stop looking at them. Silly I know, but having relied on my trusty Kindle for the past while the site of two actual books with their moody covers is intoxicating. 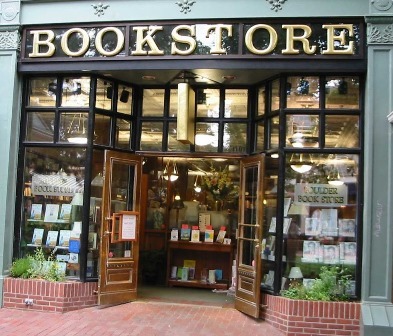 A trip into the book store is like nothing else to an avid reader like me. Upon entering I am so excited I feel giddy. Walking in that movie slo-mo, narrow focus, fashion over to the fiction section I stand back and let my eyes scan the shelves. Where do I begin, as often I am there for the experience rather than for a specific book. So my eyes do the tour and I approach a spot. It won’t surprise you to know that upon viewing someone looking at a book I strike up a conversation asking if they are familiar with the author. I’m there to learn as well as well as discover. If you’ve ever wondered about the importance of a cover to convey the style, tension and mood of your book here’s where I tell you it is extremely important. When I’m in the bookstore to wander and choose, the cover is the thing. I need it to speak to me of crimes in that discarnate and prescient way that can only be felt and not explained. It has to reach out from the shelf and drag me into its world of depth, intrigue, tension and style. If none of these or other intangibles are evident the book stays on the shelf. How do book covers speak to you? Do they touch you on the shoulder or yell to you across the room? Covers, and titles for me. Covers are very important, but then there have been books with covers not so good, that were really interesting and I winded up enjoying. I know! I judge so much by the cover. It’s a shame on one part as many writers can’t afford much more than a bare bones, yet well considered cover. And what is the saying, “never judge a book by the cover”? But the truth is, a cover is what gets your attention. How many really great books had bad covers, and never were given a chance. Hahaha! Yes, that is the truth. I love noir and moody, crisp work. The cover helps direct me. And I completely agree, many never get the chance.